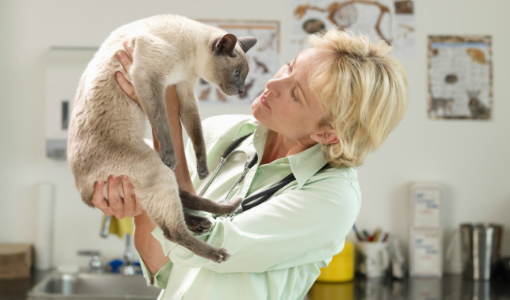 A blood test is required for cats entering the UK from unlisted third countries. A blood sample must be taken at least 30 days after the pet is vaccinated against rabies. The vet will then send the sample to an EU approved blood testing lab for testing and the laboratory will send the test result back to the vet. It is important to note that the date of vaccination counts as day 0 not day 1. A satisfactory blood test result must show the rabies antibody titre was equal to or greater than 0.5 IU/ml. If the test result is satisfactory, the date the blood sample was taken will be recorded by the vet in the official third country veterinary health certificate and the vet will sign the certificate to show that the pet passed the blood test. If the blood test is satisfactory, then the pet will be allowed to enter the UK three calendar months after the date the blood sample was taken. Please note that the date of sampling is counted as day 0 and not day 1. Please note: The three month waiting period will not apply if your pet was first vaccinated and blood tested in the EU and issued with an EU pet passport before it went to an unlisted country. The pet passport must show the date of the blood sample and that the vet has signed it to show that the test result was satisfactory. I hope the blood test info for travelling cat was helpful. For further information please check with DEFRA or your vet.